Posted by pacejmiller in Boxing, Sport. That was a surprise. Just a couple of weeks after Manny Pacquiao thoroughly dismantled a pathetically timid Shane Mosley, Pacquiao’s promoter, Top Rank’s Bob Arum has announced that a deal has been reached with Mexican warrior Juan Manuel Marquez to take on Pacquiao on 12 November 2011, most likely at the MGM in Las Vegas. All Pacquiao has to do is sign, and it assumed that he will. With Floyd Mayweather Jr now looking more and more unlikely to never fight again, the Marquez fight was the one that most wanted Pacquiao to take instead of Mosley (Andre Berto, who has since lost, was the third alternative). It made sense, considering Marquez was the last guy to give Pacquiao any real trouble in the ring. 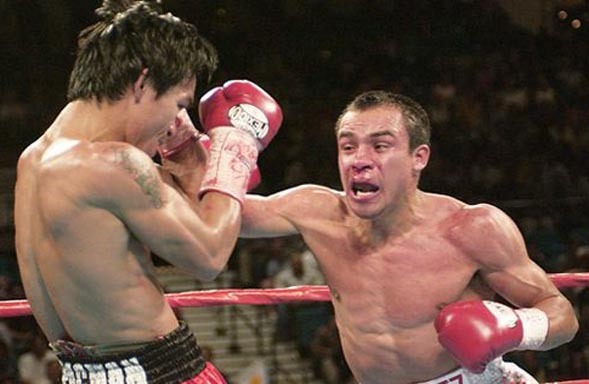 In their two previous wars (May 2004 and March 2008), Marquez came away with a draw and a split decision loss despite being knocked down four times in the two bouts, though many ringsiders and boxing analysts believe Marquez won both fights. However, Arum coaxed Pacquiao into accepting the easier and probably more lucrative option in the ageing legend Mosley, and Marquez was left to wait on the sidelines. That said, even before the Mosley fight, there were rumours that Arum had made an offer to Marquez for Pacquiao’s next fight — rumours that turned out to be true. The bout, scheduled for 12 November 2011 (probably at the MGM), will be for Pacquiao’s welterweight title, but it will be a catch weight bout at 144 pounds. Marquez, idle since a November 2010 KO of Michael Katsidis, will take an interim fight on 2 July 2011 against David Diaz, the man Pacquiao beat the crap out of just before the De la Hoya fight. 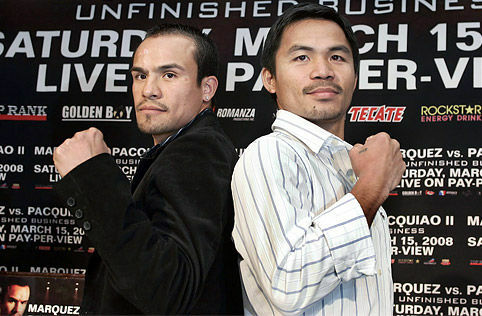 Of course, if Marquez loses, the Pacquiao fight will be off. Under the terms, Marquez will get a guaranteed $5 million for the bout, a percentage of PPV earnings over a certain amount, and a $10 guarantee for a rematch in the event Marquez wins. 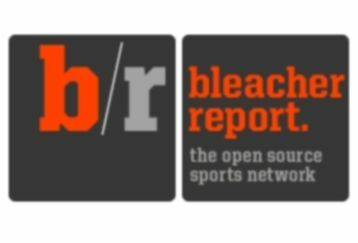 Marquez’s own production company will promote the bout. His promotional contract with De la Hoya’s Golden Boy Promotions expired earlier this year, even though Golden Boy had the right to match any offer given to Marquez. Golden Boy declined to match Arum’s offer. Seems to me Arum has planned all of this pretty well in sticking it to Golden Boy. Arum and Golden Boy have had a horrible history, most of it stemming from the rights to promote Pacquiao, which Arum won and now controls. Arum has been quite ruthless in keeping Pacquiao money away from Golden Boy since the Ricky Hatton fight. Cotto and Margarito are both from Top Rank’s stable, and Clottey was not a Golden Boy fighter. Shane Mosley used to be a part owner of Golden Boy, but gave it up to take on Pacquiao. Now Marquez, a former Golden Boy man, will also go into the fight with nothing to do with them. Very interesting match up, at least on paper. There are those out there who think Marquez will win this time because he appears to have ‘figured out’ Pacquiao’s style. To be frank, notwithstanding all the supposed success Marquez has had with Pacquiao in the past (albeit being 0-1-1 on paper), I think this third time around will be a mismatch. You can’t discount Marquez’s skills and heart, but my early instinct tells me Pacquiao could be the first to knock him out. For me, the two biggest factors for this fight are: (1) it will be at 144 pounds; and (2) Pacquiao is a different fighter now to the one from 2005 and 2008. The 144 pound catch weight is significant. Pacquiao’s weight for his last few bouts have been: 145 (Mosley), 144.6 (Margarito), 145.75 (Clottey), 144 (Cotto). In each of these fights Pacquiao apparently had to take extra meals to boost up his weight. The last time Pacquiao fought below 140 was when he came in at 138 against Hatton for a junior welterweight fight. On the other hand, Marquez’s weight for his last few fights: 134 (Katsidis), 133.5 (Diaz II), 142 (Mayweather), 134.25 (Diaz I), 135 (Casamayor). What is telling about these weights is that Pacquiao has looked absolutely sensational at around 144, and if the extra meal before weigh-in reports are true, then 144 would be a perfect weight for Pacquiao to fight at. The 144 catch weight is optimal for Pacquiao, and from the only instance we’ve seen, not very good for Marquez. This is not necessarily fair, but Pacquiao is the big name here and should hold all the cards and the advantages. That’s just the way it is. This brings me to my second point: Pacquiao is a different fighter to the one that struggled against Marquez in 2005 and 2008. Manny Pacquiao didn’t really become the Manny Pacquiao he is known as today until he made the jump to 140+ pounds. Not only has he maintained his trademark speed from the lower weight classes (and arguably he has been even faster), Pacquiao now punches harder than he has ever punched, including enough power to KO Hatton with one punch, seriously hurt Cotto with another, and break Margarito’s orbital bone with a third. Pacquiao has also become a more disciplined and more versatile than before, with an apparently steadier chin and a fortified defense. Whereas before he was more of a reckless brawler (see video below), he is now technically sounder and knows how to follow Freddie Roach’s game plans to perfection. Whereas before he was more of a one-handed fighter (with the left), he has now developed into a two-fisted punching machine. Whereas before he was more of a predictable one-two puncher, he is now an unpredictable combo throwing machine that launches power shots from unorthodox angles. The two fights against Marquez were 3 and 6 years ago, and were at 126 pounds (featherweight) and 130 pounds (super featherweight or junior lightweight). Pacquiao will be a month shy of his 33rd birthday by the time the fight rolls around, whereas Marquez would have passed his 38th birthday. Don’t forget Shane Mosley, who clearly slowed down a heap against Pacquiao, was 39 when he stepped into the ring a couple of weeks ago. Besides, the two fights with Marquez were close fights, not outright robberies as some claim. They were fights either fighter could have won, which is why they were controversial decisions. And remember, one judge erroneously scored the first round 10-7 for Pacquiao instead of 10-6 (which is what should have been the score for a triple knockdown round), meaning that on paper, Pacquiao really should be 2-0 instead of 1-0-1 against Marquez. If the two fights were close at 125 and 130 and when both fighters were 3 and 6 years younger, will they still be close now, at 144 pounds, and at the ages of 33 and 38? Stylistically, Marquez could still pose problems for Pacquiao, but everything else points to a brutal beating. If Pacquiao could take heavy blows from the likes of Cotto and Margarito on the chin, will Marquez’s punches still hurt him like they did before? If Pacquiao’s punches could cause so much damage to De la Hoya, Hatton, Cotto and Margarito, would Marquez be able to take them like he did before?